Here’s some good news for Diablo fans who are rocking a Switch. 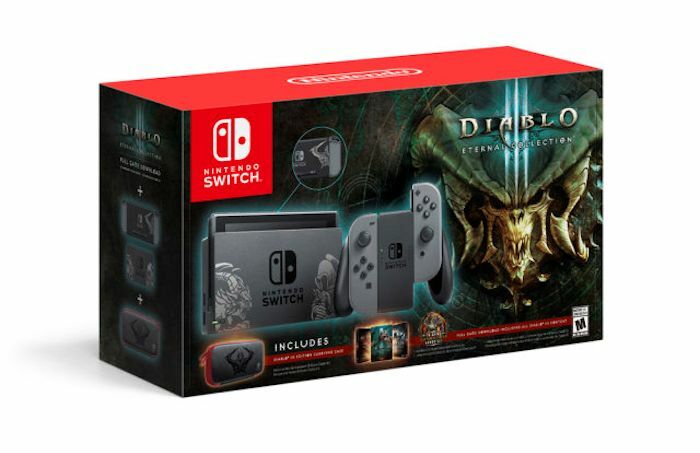 Activision Blizzard and Nintendo have teamed up to release a special edition Switch console for Diablo III that can be found exclusively at GameStop. The bundle will include the 2012 game, plus its two expansions, Rise of the Necromancer and Reaper of Souls. The set will include a black and gray Switch console and dock featuring Diablo III artwork, a carrying case, as well as the usual items and accessories, like Joy-Cons, a grip, and an HDMI cable. This special edition should make Diablo fans happy. All of the stuff that you expect from a special edition. But wait, there’s more. This third-party Nintendo cross-promotion also includes some iconic character cameos that you will not find anywhere else. These include items from The Legend of Zelda, like Ganondorf’s Transmog Armor, a companion Cucco pet, and a Golden Triforce Portrait Frame. These in-game items will only be found in the Switch version of the game of course. The game itself is a faithful port, and will hopefully be enough to hold you over until the next Diablo thing comes out. This console is sure to be a great Nintendo collectible.